Unofficial Plymouth Albion - A long weekend in Jersey! A long weekend in Jersey! The Travel Club have organised a long weekend in Jersey. Why not join us as we support Plymouth Albion on their overseas trip. Open to all supporters, no need to be a member. On a trip to see Albion in Jersey. The Travel Club met this week and made provisional arrangements for a long weekend in Jersey. 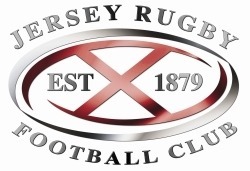 for three nights, four days in Jersey and a Jersey Rugby v Plymouth Albion thrown in! To take account of this offer you need to move fast. The trip will cost £300.00 per person with a non refundable deposit (unless the trip is cancelled by the club) of £150.00 to be paid by the 6th of July and the balance of £150.00 paid by the 10th of Sept. This price covers transport from Plymouth to Exeter Airport return, Bed and Breakfast For 3 Nights Fri, Sat & Sun, Travel in Jersey between the airport- hotel return and the hotel-rugby ground return. Approximate timings to be confirmed are to leave Plymouth 5.00 am for early flight on Friday Morning, returning from Jersey on midday flight Monday arriving back in Plymouth early evening. If you are interested then please let us know as soon as possible as we have to reserve seats on the plan and put down deposits in the hotel. We will use the numbers of intent we have on the 18th June to make these bookings on Tuesday. You do not need to be a member of the Travel Club to take advantage of this offer it is open to any supporter of PARFC. If we have enough to make a party trip we will then be in touch with details of how to pay your deposit. Only those that have paid the deposit by 6th July will be confirmed on the trip. WE may be able to add more travellers to the trip but the price can not be confirmed at the moment but we will do your best. If we find that cheaper tickets or deals can be done then you will be refunded we do not intend to make a profit out of this trip and have in fact allocated a small subsidy to keep prices down. You may be able to get there cheaper if you make your own arrangements but this is a complete package and you will be travelling with friends and supporters of Plymouth Albion.